"A1 Carpet Clean" Experts of Carpet Cleaning upholstery cleaning services will keep your furniture looking its best, whether you're caring for a family heirloom, your newest purchase, or a thrift store find. You can trust us to clean, re-fresh and revive each piece. Like so many things in your home or office, every piece of upholstered furniture is unique and requires special care. "A1 Carpet Clean" Experts of Carpet Cleaning has a wealth of experience with all types of upholstery, from suede and leather to the most delicate of fabrics. 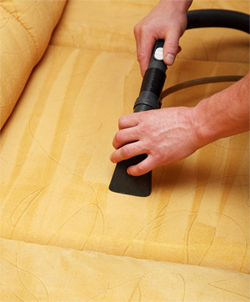 We employ an exclusive upholstery fabric cleansing system that includes a specially formulated pH balancing fiber rinse that removes the deepest of dirt and grime along with any residual cleaning solution. The result is a squeaky clean, fresh, and pristine piece of furniture that genuinely looks and smells better than it did when it was new! "A1 Carpet Clean" Experts of Carpet Cleaning use environmentally friendly alternatives to toxic solutions, so none of our upholstery cleaning techniques involves the use of harsh chemicals or abrasive brushes. Our state-of-the-art equipment leaves behind no sticky, soapy residue to attract more dirt, and "A1 Carpet Clean" Experts of Carpet Cleaning offer special treatments when they are called for, like Scotch Guard 3M, pet odor treatment, mildew removal, and stubborn spot and stain removal treatment. If you are not satisfied, then "A1 Carpet Clean" Experts of Carpet Cleaning are not satisfied. That’s why, in order to make sure you will get exactly what you need, we offer you a free carpet, rug and upholstery cleaning estimate appointment on site, to determine what would be the best course of action in your case. Our representatives are happy to respond to your requests and offer you knowledgeable and friendly assistance. Call "A1 Carpet Clean" Experts of Carpet Cleaning at 949-383-4831 and get a free phone estimate. Our staff offers a 100% satisfaction guarantee on each and every service package.